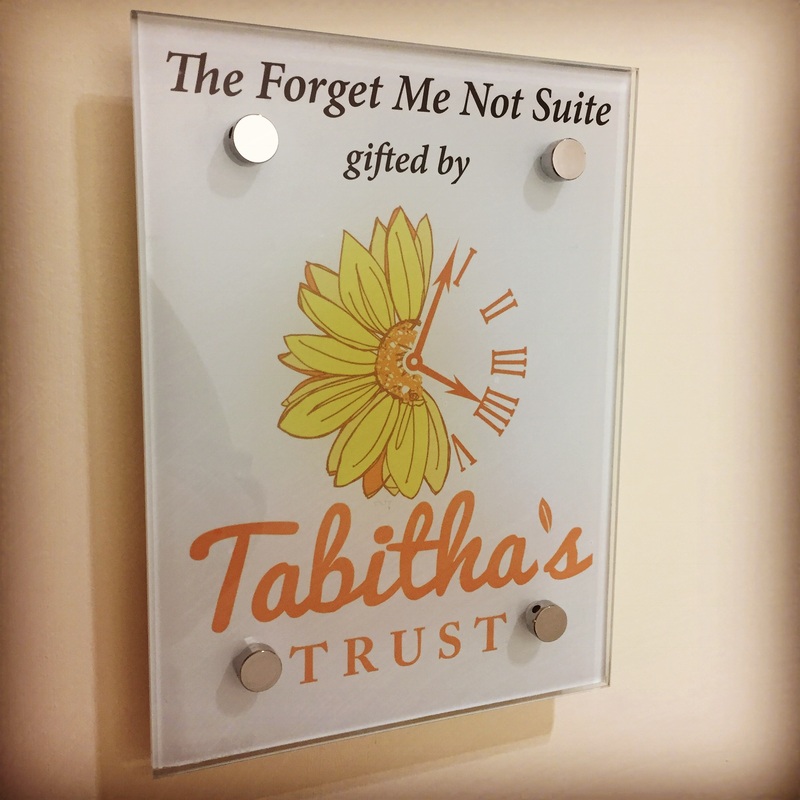 In 2014 Tabitha’s Trust were asked by Jane Sloane (Head of Midwifery) and her team, to take over the development of a new bereavement suite. The new suite would be housed in the old Special Care Baby Unit. At first, we had no idea the scale of the project, both financially and emotionally! But what we did understand completely, was the desperate need for the facility. We first set about raising awareness about the project. This was a mammoth task in itself as we, as a society, are terrible when it comes to talking openly about death. And in particular, the death of babies and children. But we have learnt in the four years since becoming bereaved parents ourselves, that we have a voice, and we must use our voice! We will forever be grateful to the groups, individuals and organisations who advised, supported and guided us towards creating the suite. 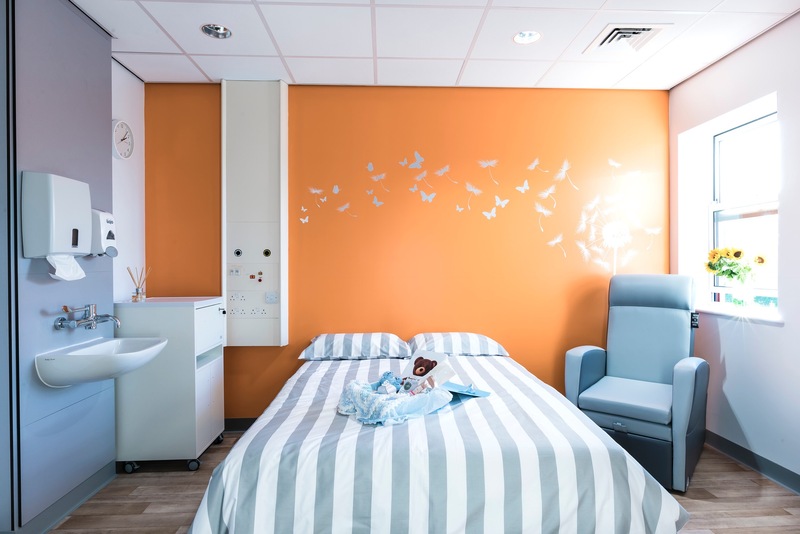 The ideas, research and personal experiences over the two years of development have enabled us to create a space dedicated to providing families with a protected seclusion from the main maternity ward. Not least, because of the types of immensely painful decisions that will be made there. 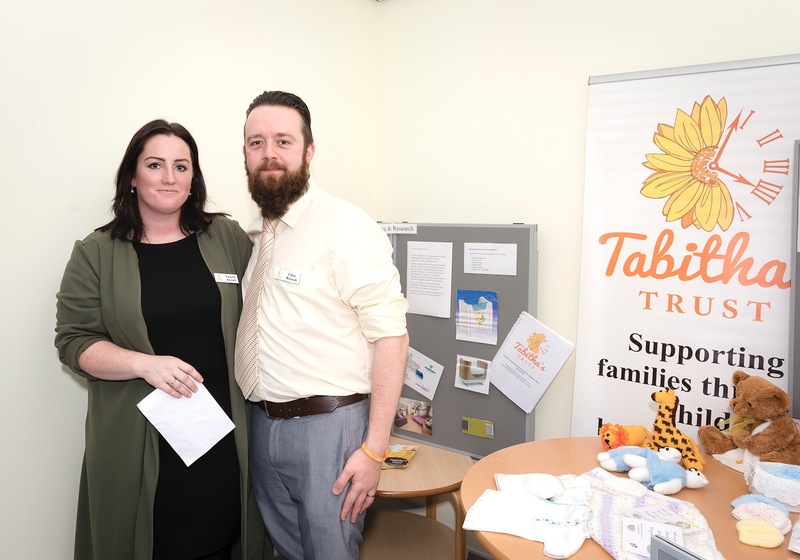 The suite will enable them to spend as much time as they need with their baby, making unhurried and informed decisions, and most importantly the ability to make a lifetime of memories; encouraged and supported by the dedicated maternity team. The suite has been designed with future families in mind. And the most important influence of these decisions, as well as medical professionals; came from other bereaved families. 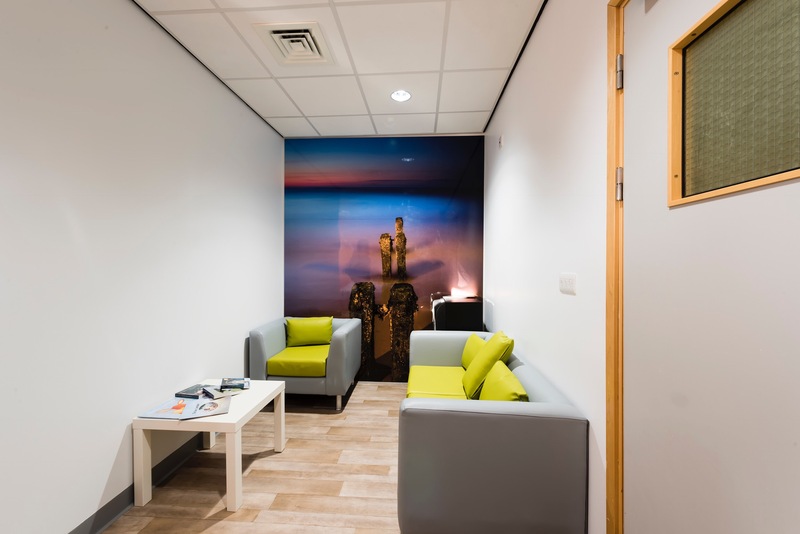 We have worked to minimise possible triggers, relating to the time spent within the suite, and to make their experience here a nurturing and unique environment. Trying our best to ensure families will not have to encounter a similar space, furniture or art work. Our statement wall uses a similar colour used in our charities logo. It symbolises a warmth from our presence, that we understand, and that they are not alone. It is also used in the national baby and pregnancy loss awareness campaign run by SANDS every October. I would like to extend the deepest gratitude from both myself and the Charity, to the following. These people have helped ensure the suite became a reality in many ways. Donating their time, funds, skills, giving advice, answering one of my many, many, many questions; or supporting the Project in other amazing ways. All the departments at the hospital who helped the Project, notably Victoria Caley. You really were the glue that held it all together! Thank you! Apollo Blinds for supplying the beautiful blinds so quickly and at cost. Thank you! Thank you to everyone who volunteers for us, whether you knit, crochet or sew, donate items from our Amazon Wishlist, gift us items for our Memory Boxes, help at fundraising events, whether it was once for a hundred times. And to the other Trustees – David, Steph and my husband Chris. Thank you to my mum and my boys for their patience, and for minding them so I can attend meetings and disappear into the study for hours at a time to research, plan and talk to families long into the night. And most importantly, to every single person from the child loss community, both on the Island and across the UK, that I have personally spoke to over the past two and a bit years. 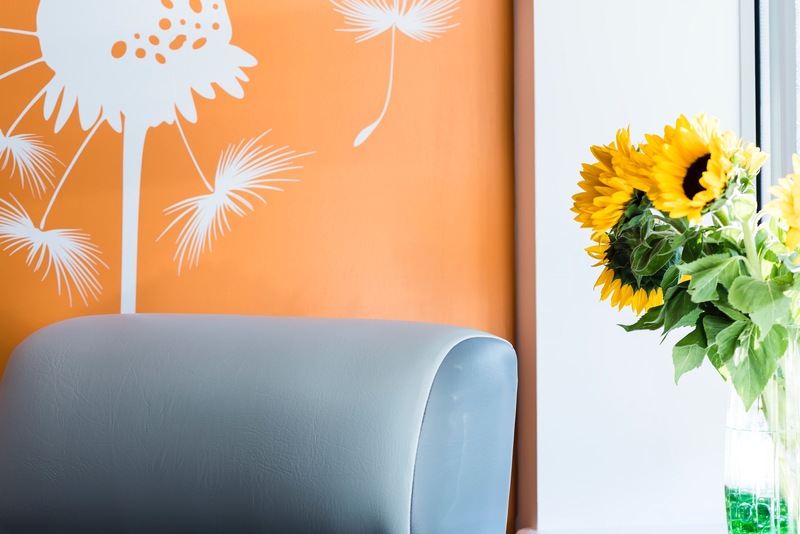 Who advised, guided and shared the experience of losing their child with me to help create a room that should never have to exist, but will become an integral part of newly bereaved families care. I am forever in their debt, inspired by their strength and humbled by their words.